They're back: Pumpkin Spice Macarons! On that note, Huffington post has an entertaining list of The 10 Strangest Fall Traditions in the US that we thought you might kind of get a kick out of. A splash of delicate orange blossom water gives the fresh, bright grapefruit buttercream in our newest macaron a real touch of elegance! Orange blossom water, or orange flower water, has traditionally been used in many Mediterranean dessert dishes, as well as in North African and Middle Eastern cooking. It's not actually to difficult to make, either! Except, of course, for the part where you have to get your hands on some orange blossoms, which is a bit of a trick here in our temperate rainforest... the good news is the method below can also be used to make rosewater, and rose petals are a totally different story as far as availability especially in the Garden City! Let us know if you try this out! 1. Use flowers that have not been sprayed with herbicides, pesticides, or insecticides. 2. Flowers should not be hybrid varieties as the smell and essence may have been bred out of them in favor of "showiness." 3. Pick blossoms early in the morning before the sun gets too hot, about 2 to 3 hours after sunrise. 4. Wash the blossoms and petals in cool water and rinse thoroughly to remove insects and dirt. 5. Macerate petals using a stone or porcelain mortar and pestle and let sit for several hours. 6. Place petals in a large glass jar with lid and cover with distilled water. Less is more. You can always add more later. 7. Let stand in the full sun for a couple of weeks. Check the scent. If it is too weak leave it in the sun for another week. 8. Strain the blossom water into several smaller sterilized jars with lids. 9. Store in a cool dark location such as the refrigerator. We're really into the combination of bright, juicy flavours and hot summer days, so our newest Macaron is Raspberry Pomegranate! Another thing that's great on a hot summer day, of course, is cool, delicious cocktail. It so happens that the blog Foolproof Living recently posted a recipe for fairly divine looking "Raspberry and Pomegranate Rosé Summer Cocktail. Head over for the full details. They use a honey-based mint simple syrup that sounds amazing, and other than that it's essentially gin, pomegranate and lime juices and sparkling rose, garnished with raspberries, pomegranate seeds, and mint leaves. Cheers to long evenings sipping with friends! Happy Wednesday! You may have caught our Instagram post the other day, in which we documented our pairing of Passionfruit Hazelnut Macarons with a bottle Crémant de Bourgogne Brut Rosé (and a stunning view over Galiano Island!) We're happy to report it was delicious. So delicious, in fact, that we were inspired to do a little post about Crémant wines. So we'll start with the basics: what is Crémant?? Basically, it is not Champagne. As is pretty general knowledge now, Champagne is an appellation, meaning it comes from a specific geographic location that is protected by law. Originally, the 'Crémant' designation did actually refer to sparkling wines from the Champagne region that had been produced with slightly less carbon dioxide, and somewhat lower bottle pressure (typically 2–3 atmospheres instead of 5–6), which created a 'creamy' effervescence, as opposed to the fizziness of traditional champagnes. These days, 'Crémant' is used for sparking wines produced with the Champagne method, but outside of the Champagne region. French appellation laws dictate that a Crémant must be harvested by hand, and be aged for a minimum of one year. One significant difference, though, is that a greater variety of grapes can be used for Crémant than are allowed with Champagne. Pinot Noir, Chardonnay, Pinot Gris, Gamay ‘jus blanc’, Aligoté, Melon and Sacy, are all used. We found the macarons, being, of course, on the Doux side ;), worked really nicely with the Brut! So if you have an occasion coming up, or if you're just already mulling over plans for the weekend, we can very confidently recommend a Crémant and Macaron party. Victoria's Pride Parade is happening this weekend! ‪Vancouver's Pride Parade is at the end of the month! Let's all celebrate with some Strawberry Daiquiri Macarons! The butter cream filling for our latest flavour is full of strawberry, lime and rum, creating a juicy and ever-so-slightly boozy treat, with some fantastically fun, rainbow-y colours to match. Here's a quick recipe for you. Put all of the ingredients in a blender and pulse until well mixed with no chunks of ice. Pour into a large, chilled glass. Serve immediately. See what we mean? Easy peasy! Happy Pride, everyone!! These treats will be available for the full month of July. This year we're celebrating Canada Day with some red and white Maple Blueberry Macarons! 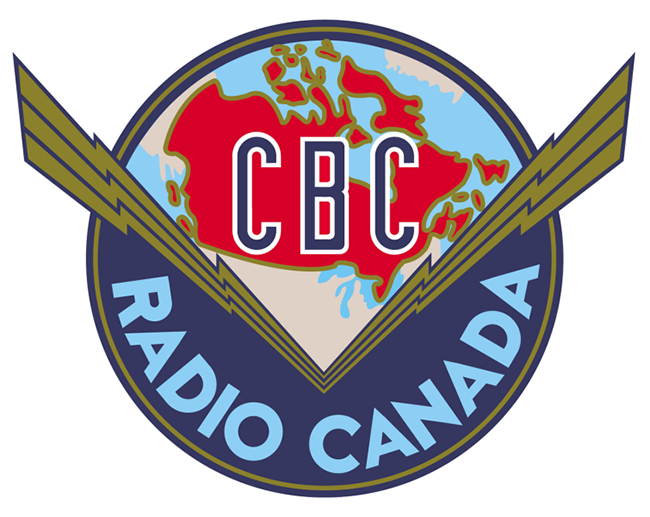 We've blended our butter cream with maple syrup and real blueberries to create a sweet, satisfying flavour reminiscent of a blueberry pancake breakfast—we swear if you close your eyes while eating these you can hear CBC radio playing in the background ;) So in honour of that, and Canada Day, here is a brief visual history of CBC logos!